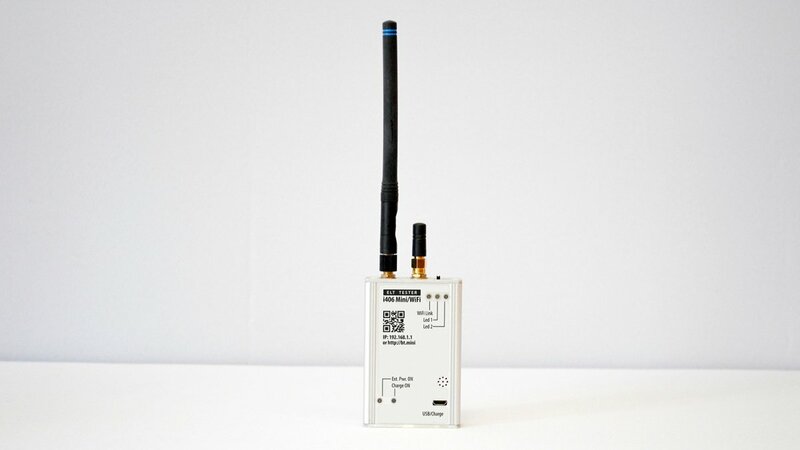 ELT Tester Mini Wi-Fi is third generation device designed to check the avionics emergency locator transmitters (ELT) operating via COSPAS-SARSAT system. Tester is operating with any mobile phone or desktop PC by means of Wi-Fi connection. It is small and light-weight. ELT Tester Mini (ELTT-124M) provides testing in volume of annual test requirements or in volume of maintenance requirements or for fast check after ELT’s encoding or installation in accordance with USA (FAA Part 91.207), Canada (CAR 571 Appendix G), Europe (CAA/EuroCAE) requirements. ELT Tester Mini is represented on US market under Icarus Instruments Inc trademark as ELTT-124M. The ELT Tester Mini can be used as reliable easy-to-use test solution by aircraft surveyors, ELT suppliers, aircraft registry or administrative authorities. ELT Tester Mini can receive messages from any 406 MHz COSPAS-SARSAT beacons transmitting either in test mode or in real alert emergency mode. 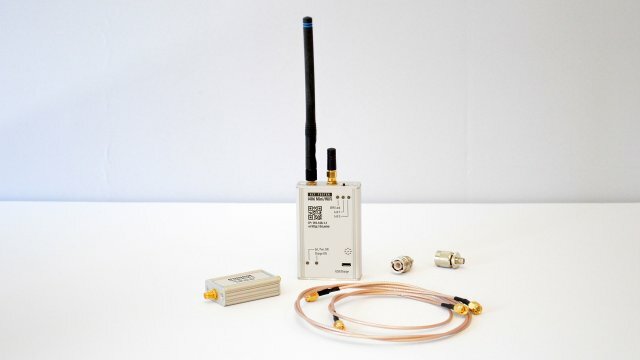 The signal can be received through the broadcast by means of antenna or the tester can be connected directly by means of cable through a suitable attenuator included in standard deliver set. Radiated tests in real alert emergency mode should be carried out using screened room (or enclosure) only. The ELT tester provides demodulation and complete decoding of Cospas-Sarsat messages. Test results will be displayed in your mobile phone, tablet or PC. All tests will be stored in internal memory for future use. The ELT tester provides measurement of received signal level on frequencies of 121,5MHz, 243MHz, 406MHz. The ELT tester provides measurement of frequency meaning on 121.5 MHz, 243 MHz and 406 MHz channels. 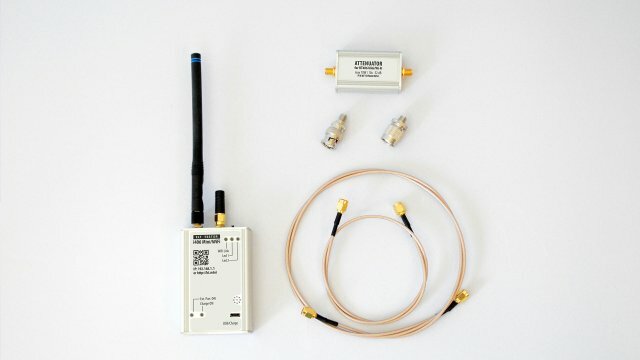 The ELT tester allows to perform measurement of beacon parameters by means of standard external antenna, as well as via high-frequency cable and attenuator connection. 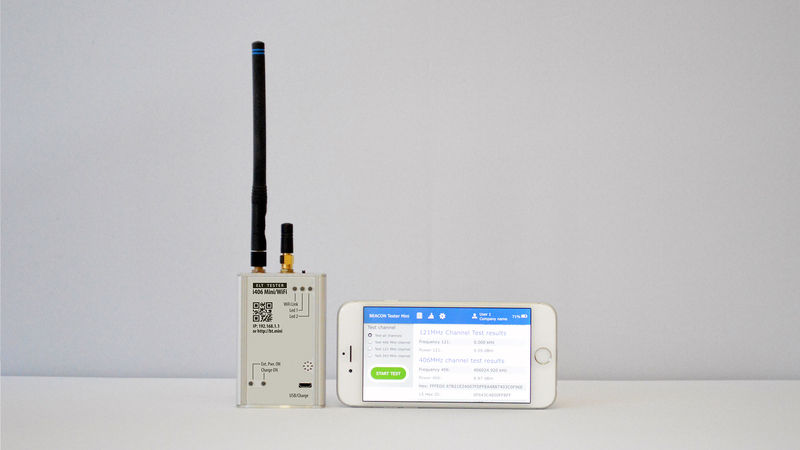 ELT Tester Mini Wi-Fi allows to perform easy testing of distress beacons, such as ELT. 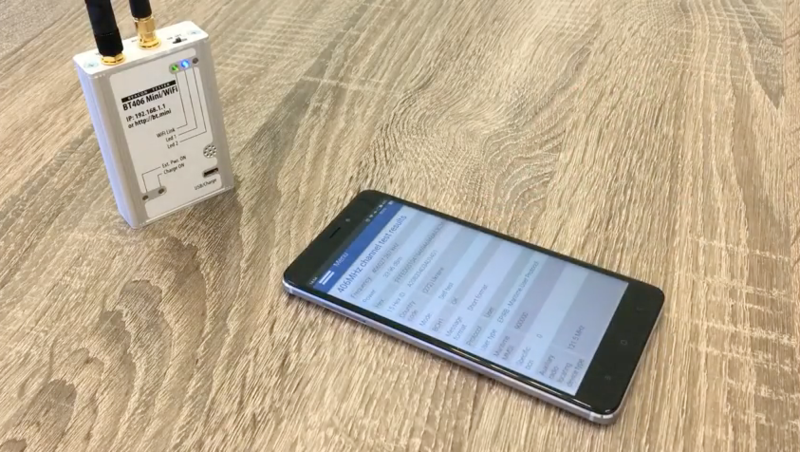 Turn on the tester and take your phone, tablet or PC, perform the Wi-Fi connection between PC and tester and run the test mode. Switch the beacon to TEST mode. The tester will receive the signal, measure the frequency meanings, power levels in 121.5MHz, 243MHz, 406MHz channels, signal duration and finally decode all Cospas-Sarsat message content automatically including position data if available. Everything will be displayed immediately on your mobile phone screen. The tester provides demodulation and decoding of the emergency information and displays on your choice the НЕХ-code (15 Hex ID or the message 1-112 bit) as well as all decoded information in text view with all measured parameters. All data will be saved in memory for further processing. Test reports will be created automatically. The tester is lightweight, hand-held and user-friendly in usage. Internal database of received messages with possibility to save results and generate the test reports. Easy connection to PC, laptop, notebook, mobile phone or tablet to process the stored data. Wi-Fi and any browser is required. Since we have an intent to create really small, lightweight and comfortable test solution the tester has no LCD or keyboard to control its operation. Instead we make it easy to connect the tester to almost any mobile phone (Android, IOS), tablet, PC, laptop to be controlled by that means. The only things are required are Wi-Fi support and any browser to interpret the tester messages. No drivers or any preliminary actions are required. 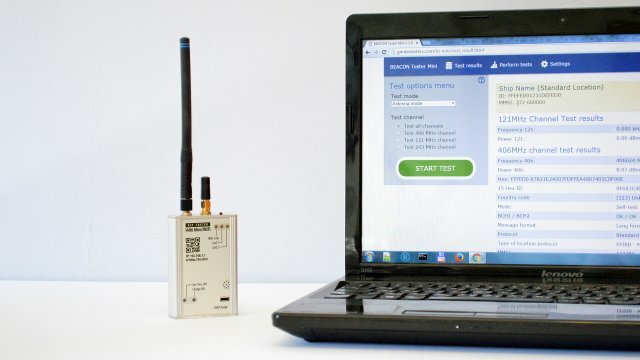 Just take the tester, connect you phone to tester by Wi-Fi, run the browser and make tests. estimation of the equivalent radiated power of 406 MHz signal through broadcast. The tester power supply is performed by internal rechargeable power supply unit. Approximate continuous operation time of the tester from the internal power supply elements is about 6 hours.